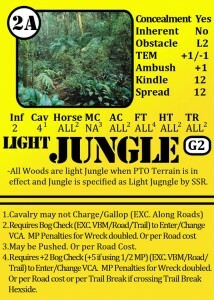 We are currently working on quick reference cards for the Pacific Theatre of Operation. With this set you will be to be able to lay out just the cards you need for the scenario you are playing so the TEM, MP/MF costs, etc. are just a glance away. 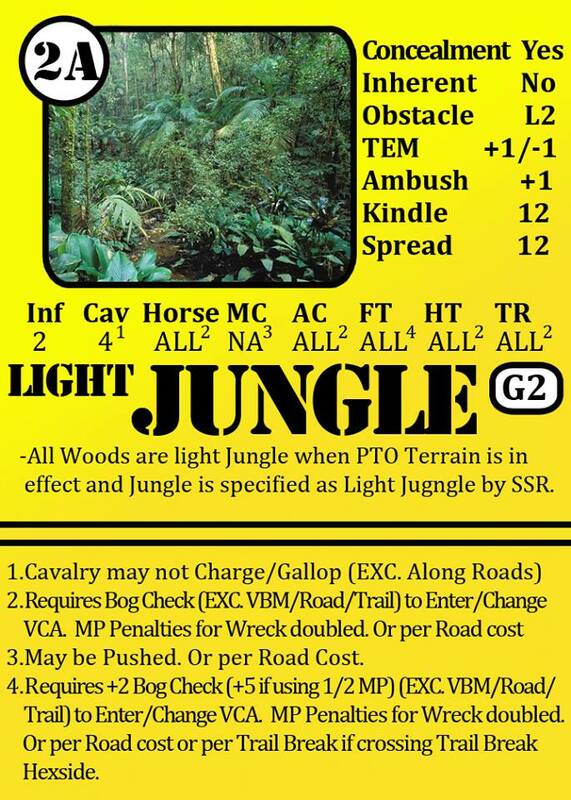 Included in the kit will be all of the terrain (Light Jungle, Dense Jungle, Bamboo, Huts, Collapsed Huts, etc.) plus PTO Specific cards (Dare Death, Banzai, DC Hero, etc.). The ASL Game system / or another tactical game system including Rulebooks will be needed to use these cards.